Anthropologist Philip Folsom is one of the Premier Leadership and Organizational Culture Development Experts in the United States. Let's turn your team into a tribe! This is a rare opportunity to participate in Philip Folsom’s critically acclaimed Tribework program. This experience unpacks the 3 ancient Master Maps of humanity that unlock the superpowers of a truly full life. 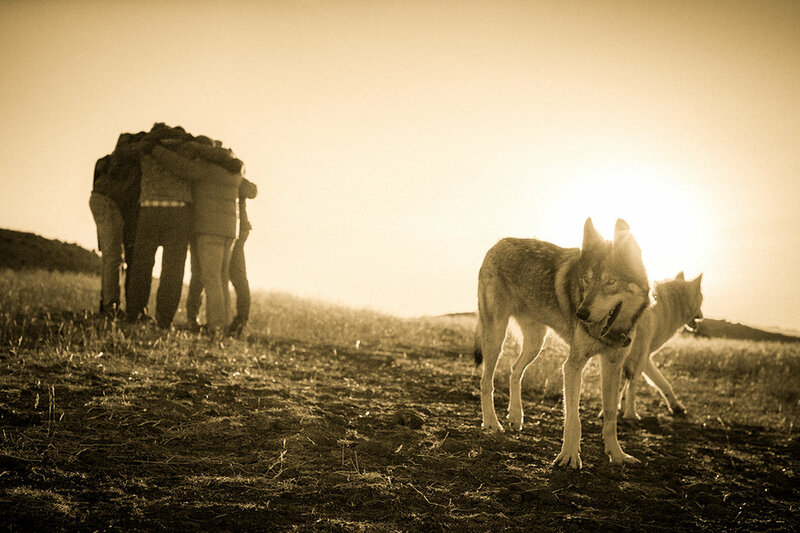 There is no better way to explore how to end the time of the lone wolf than with a full pack of real wolves. There are only 15 tickets available for this experience. This is a short video of some of my current work with the Master Maps of humanity as well as a bunch of wolf eye candy! I increase my clients' organizational health and high performance by improving team retention, engagement, innovation and competitiveness. I do this with our unique blend of customized corporate trainings, leadership and team-building experiences, ropes courses in Los Angeles and around the country, keynotes and multi-phase culture development programs. Let's build your Tribe, let's build your team. Philip Folsom’s reputation in the team development and leadership world is legendary. His in-person events, seminars, and high ropes course experiences have dramatically improved the lives of over 500,000 people teaching the importance of peace, power, and sacred purpose. At the center of his coaching is his Tribe program, bringing the enormous benefits of the world's ancient tribe systems to modern day corporate teams such as Sony, Microsoft, Dreamworks, Apple and RedBull. This is my most recent podcast and it’s on the Executive Innovation Show. It’s short but contains really powerful information for the health and resiliency of not only vets but also everyone else! This may be my very favorite podcast ever! It’s by the exalted Richard Janes who I worked with this year with my personal branding and I highly recommend. This podcast is extremely high quality production and well worth the 30 minutes! This is a great conversation from earlier this month on John Livesay’s Podcast. If we want to upgrade the operating system at the center of our contemporary lives we must look at where we spend most of our time: work. It's time to transform our teams into tribes. This is a recent podcast I have been on and one of my very favorites. It's called YOU. LOVE. LIFE. by Roman Wyden. 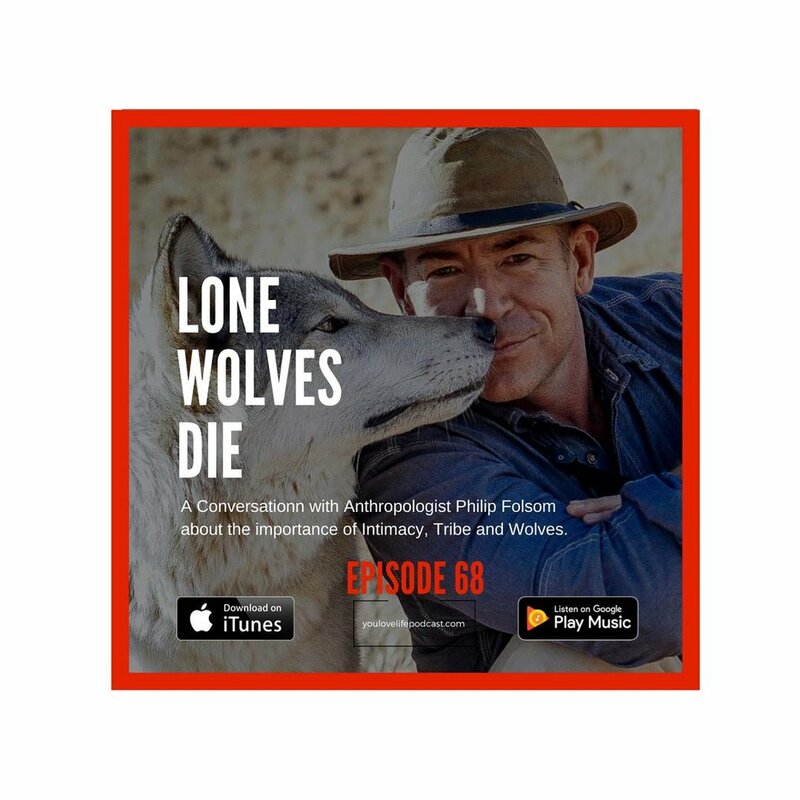 We cover a wide range of vital human topics including intimacy, mental health hacks, wolves and most importantly why it is absolutely vital we start transforming our teams into tribes. Click here and take a listen! This is a short video on what we can learn from wolves to build healthier and higher performing tribes. This is a short video of some of my current work. Let’s all keep supporting each other in healing the small portion of the sick society that we were born into! Folsom’s critically acclaimed Tribework seminar and team development work with ropes courses and wolves is often referred to as ‘transformational’ and ‘game changing’ and has been featured on numerous podcasts, performance symposiums and national television shows including The Biggest Loser, The Letter, For Love or Money, Celebrity Fitcamp and Cholos Try, where they affectionately refer to him as ‘The Dalai Lama of the Woods’. Philip is a regular contributor at USC Marshall school of business as well as many board and programs at Redbull’s High Performance Department. Let’s Transform Your Team into a Tribe! We respect your privacy. We promise not to sell your email or spam you.